The LINQ Introduces The Book, an evolution of the sports book & bar experience. 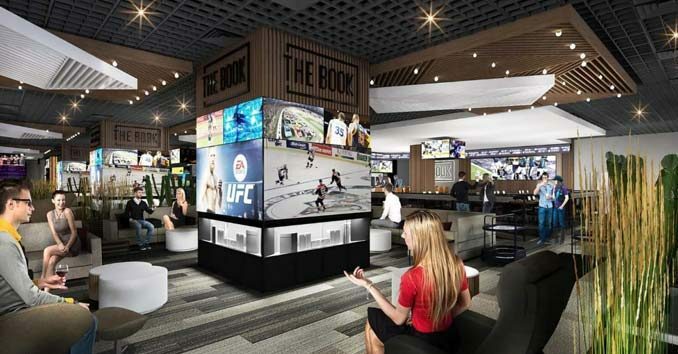 On September 6th, Caesars Entertainment will be opening a one of a kind Sports Book experience at the LINQ. The Book, inside The LINQ Hotel & Casino, is designed for guests to take full control of their gaming experience, in what Caesars is saying is “the latest evolution of the sports book and bar experience.” The moment you enter, you’ll be handed a tablet that will allow you to control your entire experience at The Book. With innovative technology, mobile, and self-serve opportunities, Caesars says The Book “promises to be immersive, socially driven and unapologetically now.” Not sure exactly what “unapologetically now” means, but here is how Christian Stuart, Caesars Entertainment Executive Vice President of Gaming & Interactive Entertainment, describes The Book. One of the things that will separate The Book from other Las Vegas Sportsbooks are the Fan Caves. 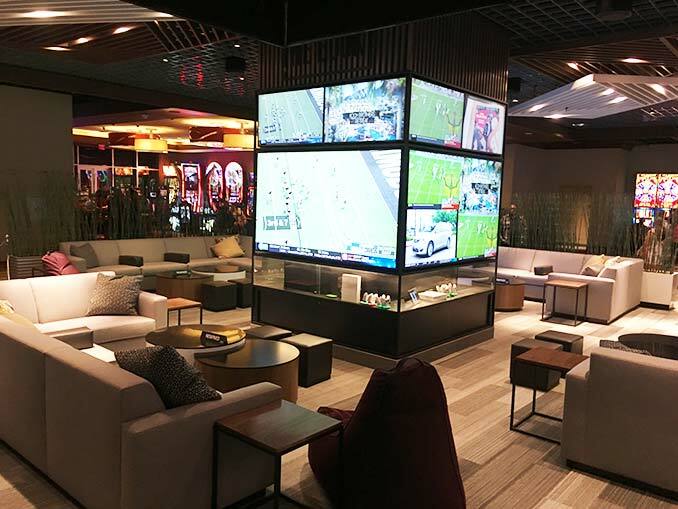 Fan Caves are the Strip’s first “rentable living rooms” and will offer a unique experience for sports lovers. 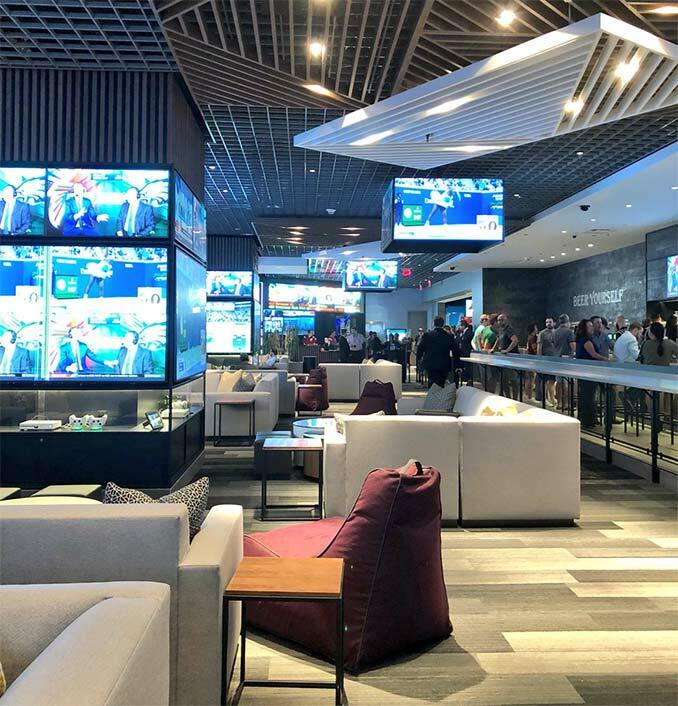 On game day, you and your buddies can rent these fan cave rooms that feature 98′ guest-controlled televisions, Xboxes, virtual reality goggles, and bottle and drink service. Twelve Fan Caves, with food and beverage packages, will be available to purchase for the big game or a casual hang. Take control of your experience with The Book’s tablet interface – order food and drinks, bet live sports on the Caesars mobile app or play augmented reality games all from your seat. 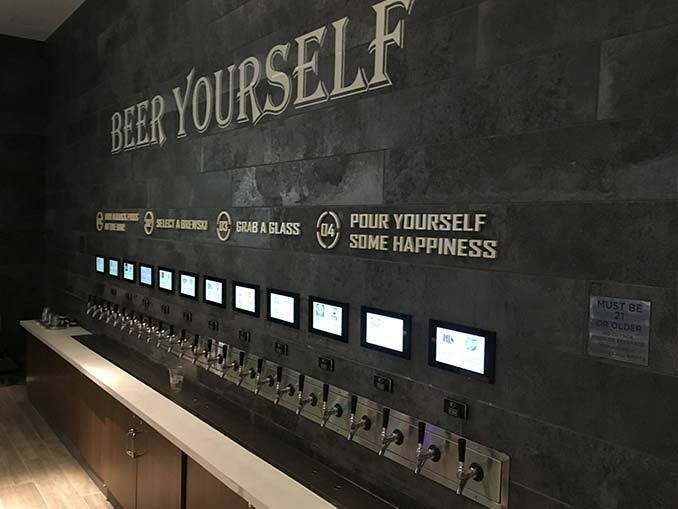 When it comes to food and drinks, The Book will feature a menu of more than 15 unique drinks, a variety of stouts, lagers, and IPAs — 24 of them on tap from a self-pouring beer wall, and food from Sticky Chicken. 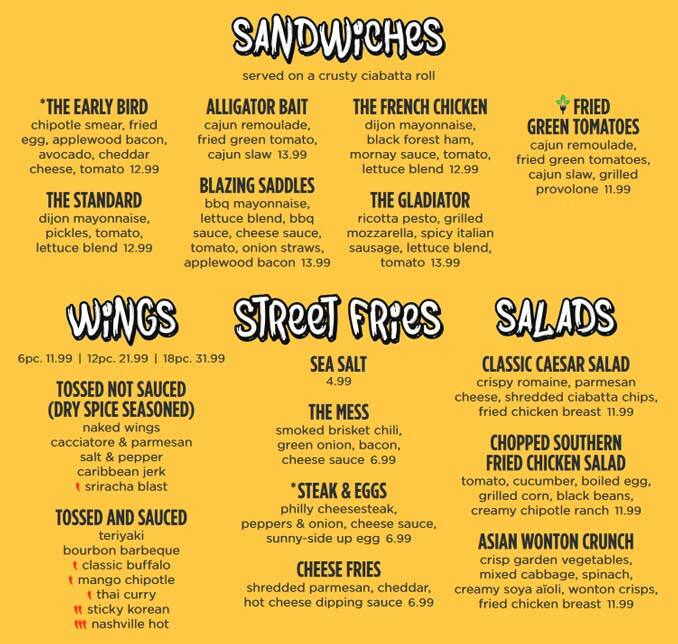 Sticky Chicken will offer 12 different chicken wing combinations and monster sandwiches including the Gladiator, made with ricotta pesto, grilled mozzarella and spicy Italian sausage topped with a ciabatta roll. Augmented reality coasters and napkins? Interactive technology in and around the bar lets you take on augmented reality and VR challenges. Your drink coaster or napkins will trigger augmented reality sports and bar games to challenge your friends and win prizes. 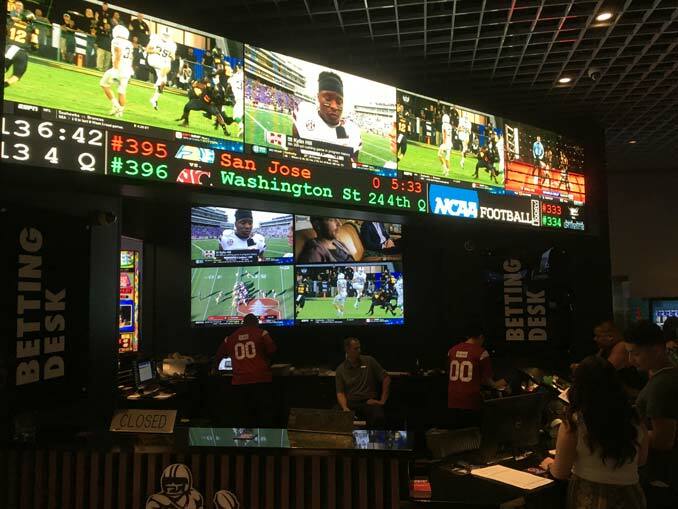 And yes… They Still have Sports Betting!